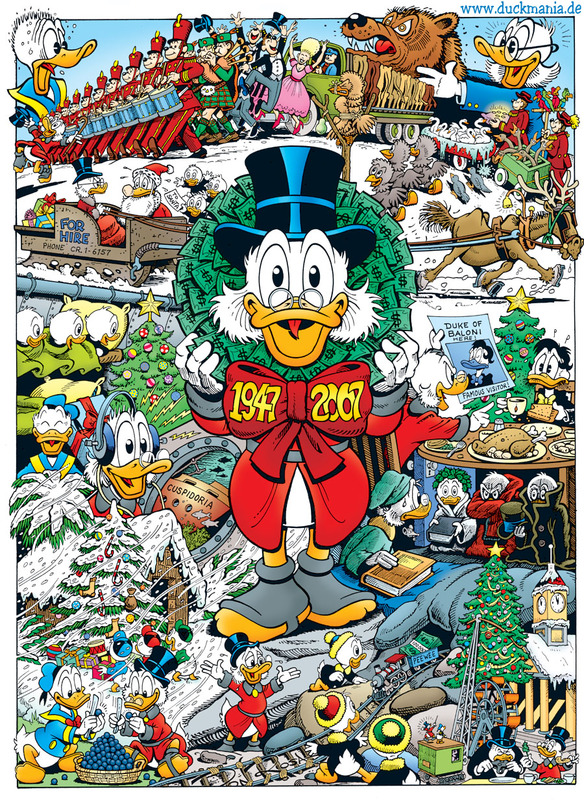 Don's contribution to this year's 60th anniversary of Uncle Scrooge. 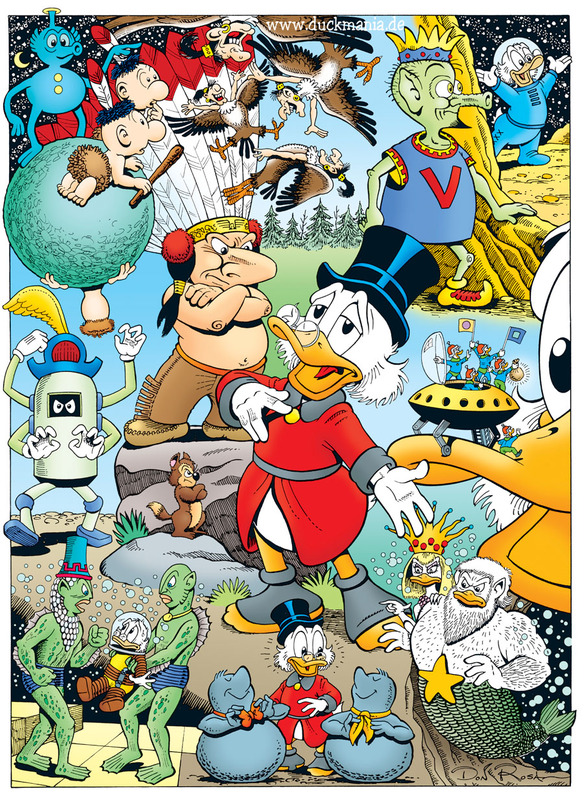 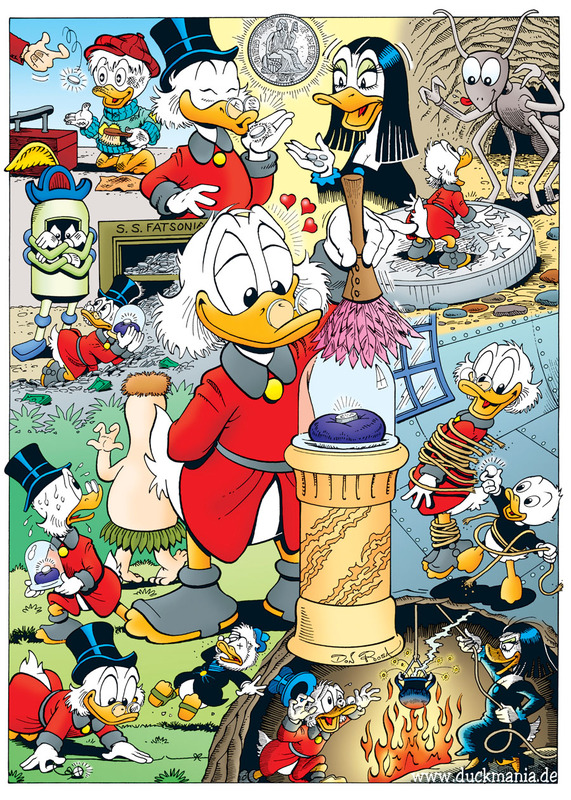 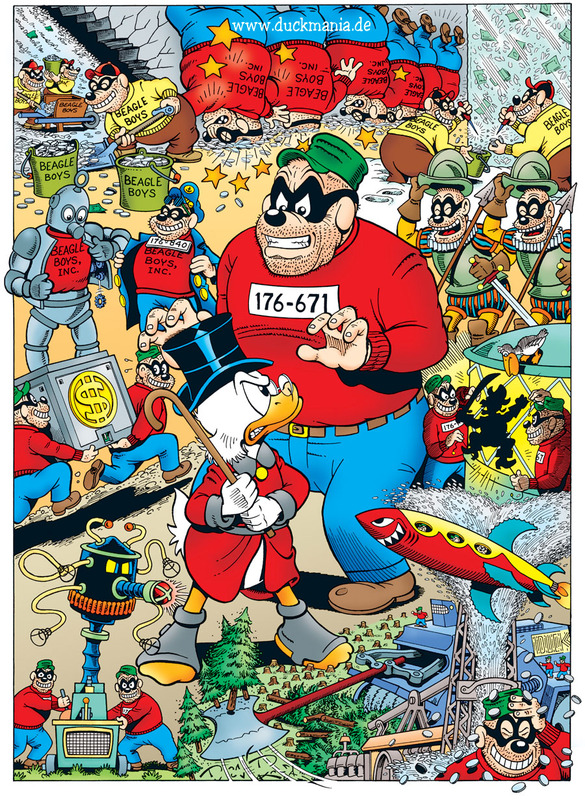 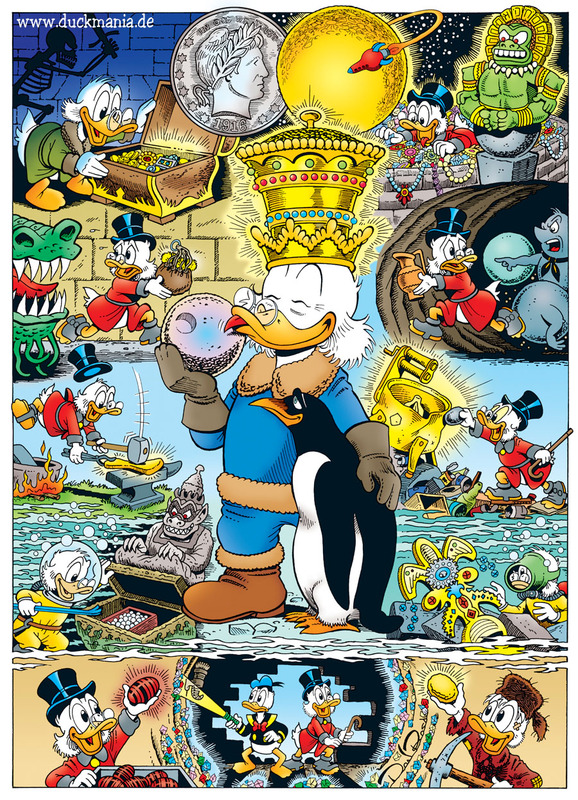 Don says: "The project I am now doing is 12 posters for Egmont (showing 12 topics to illustrate the "$crooge McDuck mythos") celebrating the 60th anniversary of $crooge in 2007. 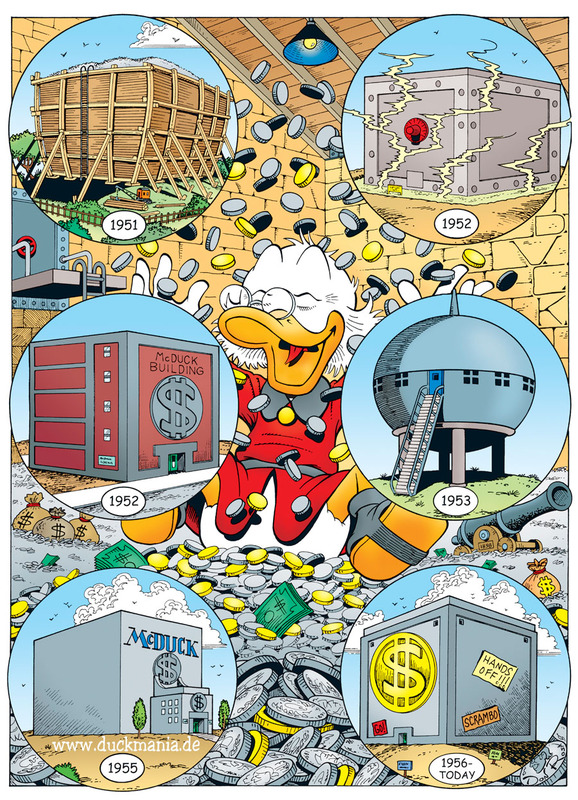 This is to be a [monthly published] series about U$'s entire 60 year history. 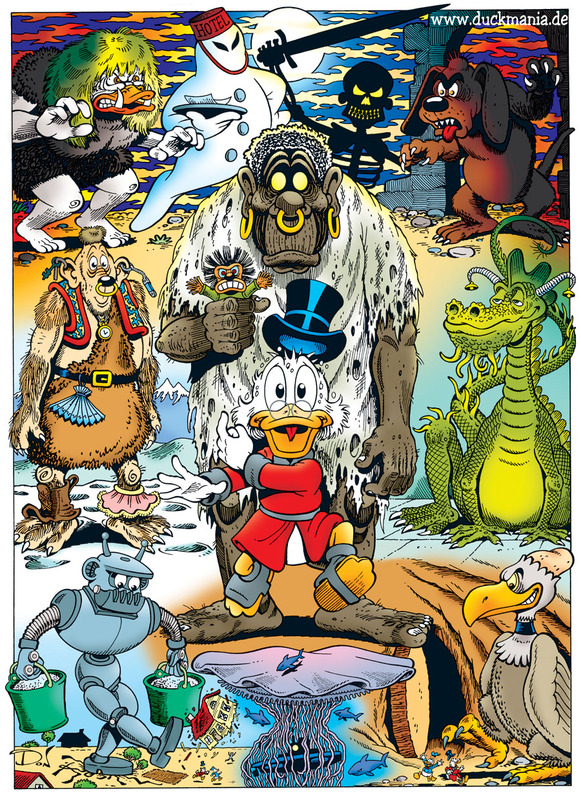 There have been hundreds of different writers & artists in all that time, so the only way I can handle it is to concentrate on memorable Barks stories. 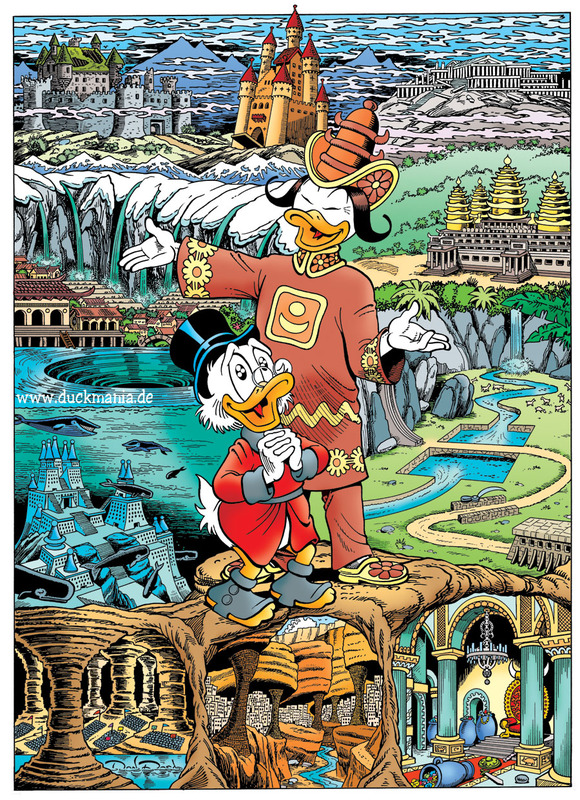 They are some of the BEST things I've ever done! 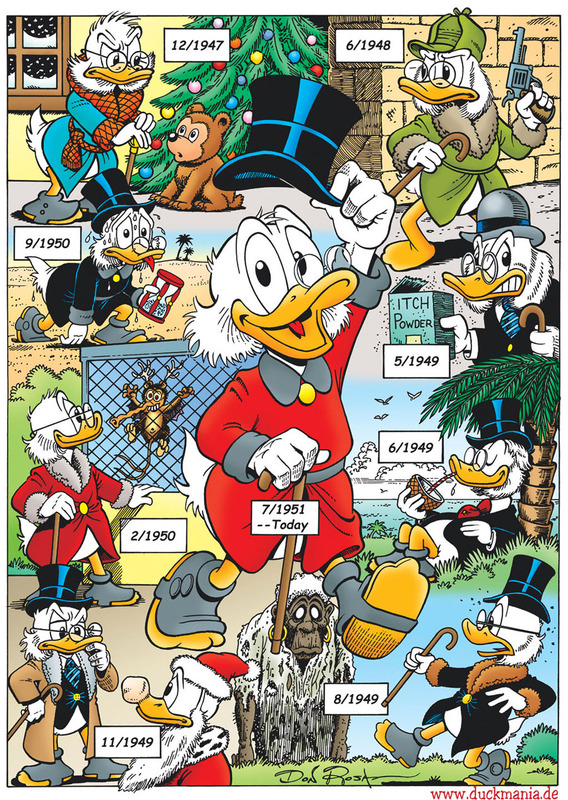 Naturally they excite me because they are all such tributes to all my favorite Barks stories, and definitely the most complex full-page drawings I've ever done." 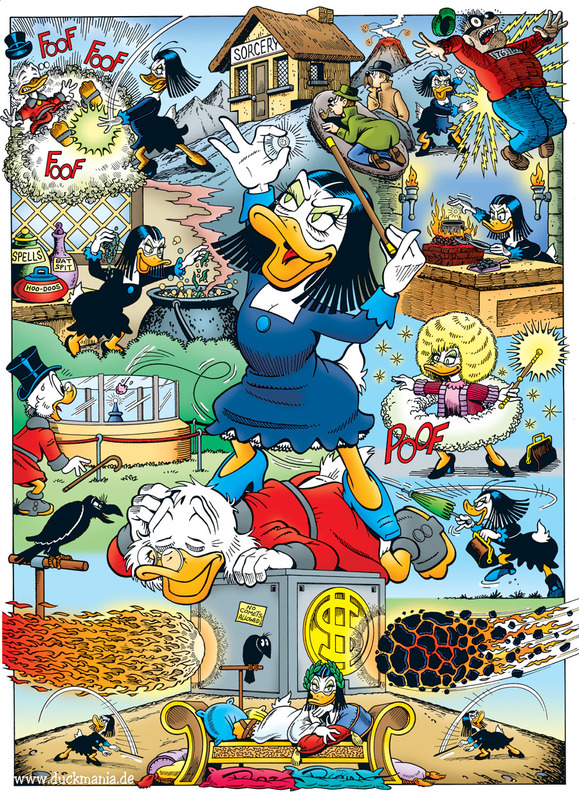 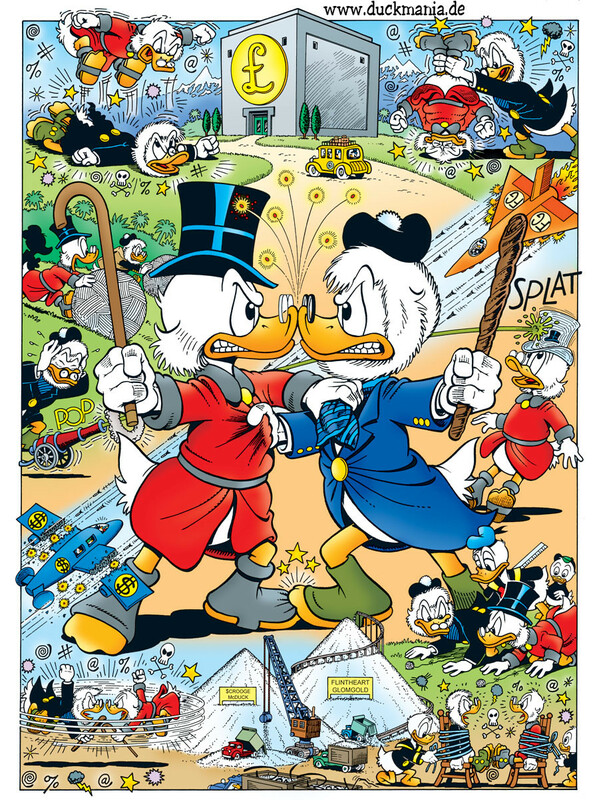 In Germany these are printed in the Donald Duck Sonderheft, and are put on-line as they are published. 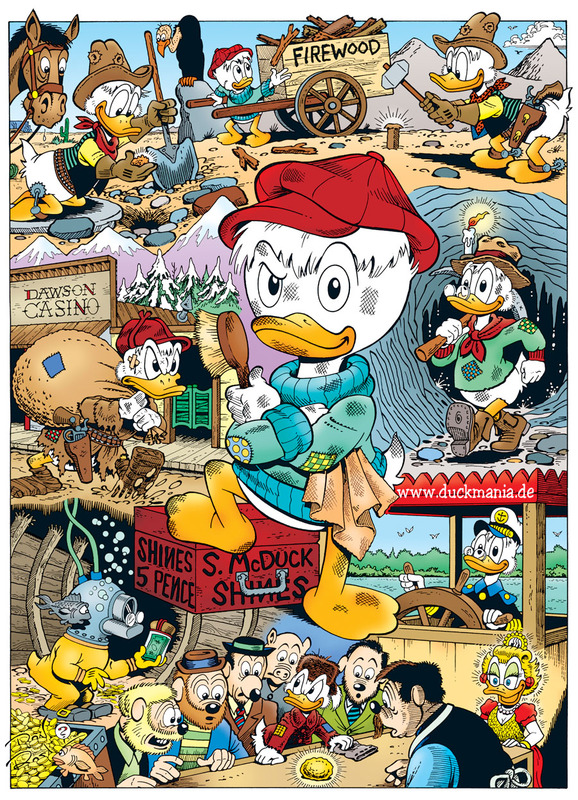 Here on DuckMania is your exclusive chance to see a preview of the posters to come.